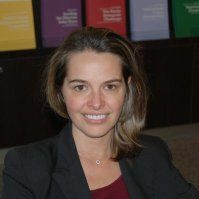 Erin Meyer is a professor and INSEAD, one of the top international business schools and the author of the best-selling book “The Culture Map: Breaking Through the Invisible Boundaries of Global Business”. She is here to speak with us today about how national cultural differences impact day to day interaction. Learn as much as you can about the culture(s) you work with. When you work with more than one culture also make sure that you understand the relative differences. In other words, how does one culture perceive the others and vice versa. Be humble; Humility is everything. Make no mistake, every culture has one or more benefits. By being humble, you might discover just what it is. Be curious. Even if you have lots and lots of experience and if you think “You Get It”. You can always learn more. ABC=Always Be Curious. Terrific interview. Thank you Chris and Erin! Thank you Sophie for your compliments.